Recently, GN Solids Control got inquires from clients for the drilling cuttings treatment. Below is the client’s request. They are proposing to use the cuttings blowing pump for drill cuttings transfer and disposal from an offshore jack up rig to a dedicated barge. The clients want to treat both OBM and WBM contaminated cuttings. And they give note that it is of great importance that all equipment must be explosion proof. Based on the client’s need, our sales people keep communicating with them for a suitable proposal for them. We have triple skip station to collect and transfer cuttings, and send drawings to clients for reference. 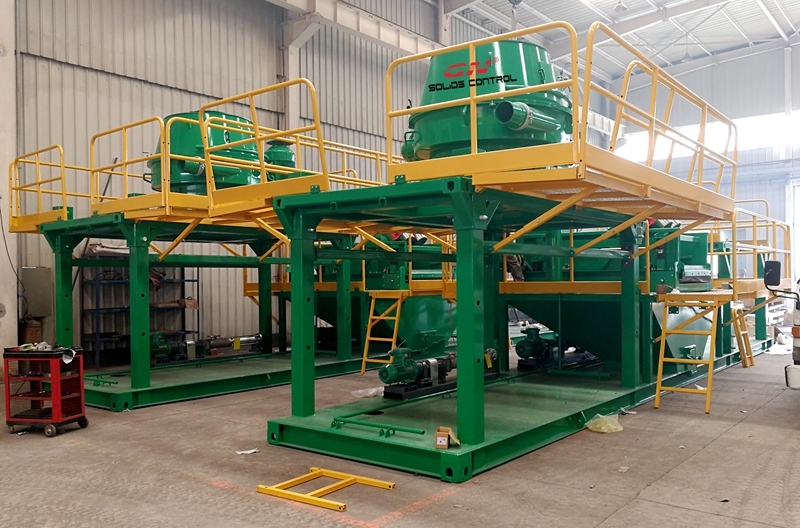 Screw conveyor is another way to collect and transfer cuttings from mud processing equipment to the cuttings storage equipment. And vertical cutting dryer is GN advantage. The Vertical cuttings dryer is mainly used to treat OBM cuttings. For WBM cuttings, GN recommended to use High G-Force drying shaker instead of vertical cuttings dryer to separate. GN attached some complete cutting management solutions for reference. And clients can also check jobsite videos on GN website. GN Solids Control is leading manufacturer on solids control and waste management equipment. GN is also manufacturers for different models replacement screens. GN owns factories in Beijing China and have a big warehouse in Houston. Clients can visit GN website or contact GN sales team to get support.